This month's Birchbox is officially my favourite, ever. I was impressed with every single product and I absolutely love the little bag that they all came in. 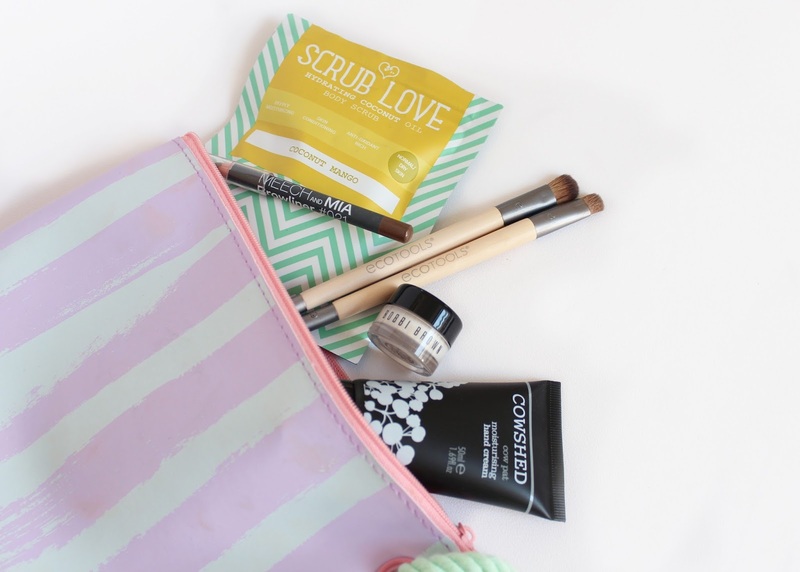 I think there was a really lovely mix of products from makeup to skincare and tools which I think made it a strong and varied box (or bag!). The MeechNMia Brow Liner is a really lovely product, the shade works well with my hair colour and it applies really nicely, this is a full size product which is also super handy! I have dry skin so frequently use body and face scrubs so I was excited to use the Scrub Love Body Scrub to remove dead skin cells, this leaves your skin feeling super soft and it smells amazing too! 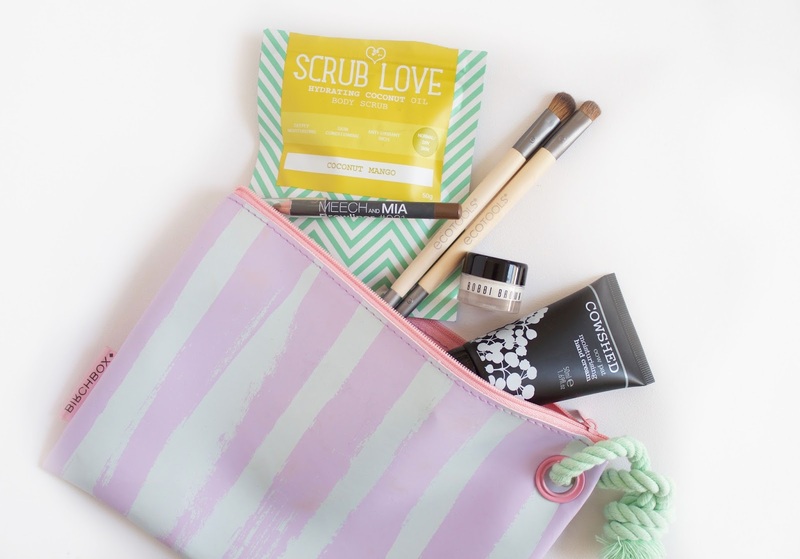 While it is slightly messy to apply, I absolutely adore these sachet scrubs and they always work well. The Bobbi Brown Eye Repair Cream is a nice addition, it's always good to try out a high end product before you splash out on a full size so this way you can test it out!